The Happy Valley Vision Source team strives to provide the best in optometry services, accepting both eye emergencies as well as scheduled appointments. Our experienced eye doctors offer comprehensive vision examinations. We use advanced diagnostic technology to diagnose and manage glaucoma, cataract, retinal and corneal diseases with digital retinal imaging (optomap.com), CIRRUS™ HD-OCT and Humphrey® perimetry. As well as advanced vision correction products. Patients throughout the area come to Happy Valley Vision Source because they know they will receive the personal attention and professional care that is our foundation. Our team is dedicated to keeping our patients comfortable and well-informed at all times. 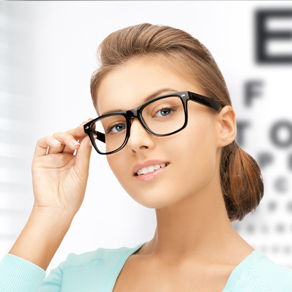 At Happy Valley Vision Source, we will explain every exam and procedure and answer all of our patients' questions. Additionally we offer vision financing options and will work with vision insurance providers to ensure good eye health and vision care for all of our patients. We are committed to improving the quality of life of our patients through enhanced vision. Happy Valley Vision Source, established in 2016, was formerly Eastside Vision Source in Portland. Our staff is a combination of teams that included our old location, Sunnyside Vision Source. 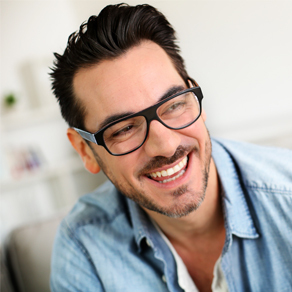 With the convenience of our Happy Valley Vision Source location, we are dedicated to help you achieve and maintain clear vision for years to come. William Berk, OD, Diplomate of the American Board of Optometry, is accomplished with resolving contact lens challenges. He also has a special interest in glaucoma diagnosis and management, as well as finding solutions for binocular vision problems that may have been previously over-looked. Anne Berk, OD, Diplomate of the American Board of Optometry, is a problem-solver by nature. If a patient has a difficulty with an aspect of their vision or eye health, she enjoys finding the cause and determining the proper course of action. Dr. Anne takes an interest in her patients’ comfort and appearance, as well as their visual function. She is concerned with the whole patient, not just the eyes. Dr. Nancy Buset joined our practice right after graduating from optometry school in 2001. She specializes in pediatric optometry and vision therapy, and she’s been with us long enough to watch some of her patients grow from pre-schoolers to college students! Molly joined us in 2016 after recently moving to the Portland area from Denver, Colorado where she worked as an optometric technician for two years. Molly studied Writing and Directing at Colorado Film School and hopes to publish a novel in the future. She enjoys reading, watching movies, and exploring her new city with her friends. Kylee Houser was born in Southern California and moved to Oregon at the age of three. She’s lived in Troutdale most of her life and attended Reynolds high school where she graduated class of 2014. Kelsey grew up in Sandy, Oregon, and is a Sandy High School graduate. In the fall of 2014, she started courses at Mt Hood Community College, to pursue her dreams in the medical field. Sofia is a student at Portland State University majoring in biology. She hopes to continue on to graduate school in order to pursue her dream of becoming an Optometrist. Kendy started in the optical field in 1987. She progressed rapidly to the position of Manager of the one-hour lab at Binyon’s Eyeworld. Her many years of experience have provided valuable knowledge about working in a wholesale lab. This includes the process of fabricating spectacle orders, from lens blocking and edging to final inspection of orders. Kendy values her customer relation skills and she has many patients that have followed her over the years. The Eastside Vision Source office welcomed Kendy as our primary Optician there in 2013. Kendy likes to be creative in making greeting cards and several different kinds of crafty items. She enjoys her off time acting as a Partylite consultant, camping, and being with the delight of her heart, her dog, Piper. 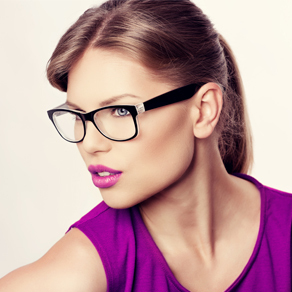 Heather started her optical career in 1997, where she was trained by a master optician. She has enjoyed continuing to learn more as technology changes all the time. We are thrilled to have her join our optical team in the summer of 2017. Linda is an Oregon native, but she has lived in California and Seattle, where she had worked for the aerospace industry for 17 years as a security specialist. Linda changed career paths to become an optician in 2004. She moved back to Portland in 2005, and started work at Sunnyside Vision Source. She finds working with people satisfying and rewarding. Her gentle spirit and sweet smile makes her a favorite to our patients. She enjoys spending time with her family, reading, going on nature walks, beach combing, cooking, and ballroom dancing. Spending nearly 16 years in long term care working with seniors and adults with disabilities, Stephanie brings a compassionate person-centered approach to our front office. I loved Heather! She knows her job! Delightful personality! She picked a nice style of frame, suitable for my prescription! She made a few adjustments and all was good! Thank you so much! Heather, the current Optician is wonderful. She is bubbly, knowledgeable, and not LAZY! She expends herself wholly for us, the patient. My hope is that she stays there for a long time! Dr. Jade Himmelsbach was extremely professional and thorough in the examination combined with a warm personal manner. Support staff was very helpful. Highly recommend this practice. Due to appointment demand you may be charged a $35 fee if you cancel or miss your appointment without 24 hour notice.